In this novella, Bram Stoker award-winner, Tom Deady explores the darker side of human nature, and the innate desire to survive against all odds. The narrator, John Baxter, tells a tale of how he came to lose one of his fingers in a weekend getaway many years before. Baxter and Rachel, his wife, are struggling to cope with a miscarriage. With their marriage on the brink of ruin, Baxter makes a plan to recapture some of the magic that brought the couple together. He rents an off-the-grid cabin in the hope that the solitude will be the catalyst to saving their beleaguered relationship. From the outset their trip is plagued with issue. They are tailed by a truck, having to seek out a cop at the nearest service station. The truck tears off and they resume their trip, coming to the luxurious cabin. No sooner do they arrive so does the truck, and its unsavoury occupants. When all appears lost, the cop from the service station pitches up. Then things start to go very wrong. 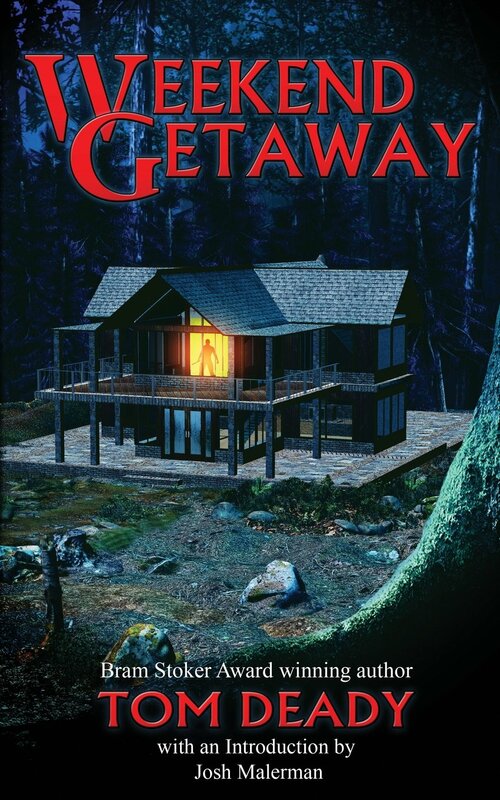 WEEKEND GETAWAY is a short read, yet in its one hundred and twenty-odd pages, Deady does what he so often does in his longer works, that is he gives us characters with depth and wonderful stories to tell. The pacing is slick, and the narrative as is as sharp as a home-invader’s machete. The central conceit of the Baxters learning more about each other, irrespective of the fact they are subjected to heinous acts of violence at the hands of their captor, is effectively told. The relationships that firm with others imprisoned with them is equally powerful, with some pretty good twists that will leave you nodding yours head in satisfaction. The violence is graphic enough to have impact but never cheapens the piece by being gratuitous. 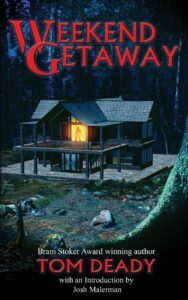 Overall WEEKEND GETAWAY is a quick, satisfying read and enough to keep Deady fans entertained until his next novel is released. Recommended for those readers who enjoy taut, violent thrillers with a dark (yet very human) heart.